These men are the great educators of our time, if you ask me. We’re a lucky generation. 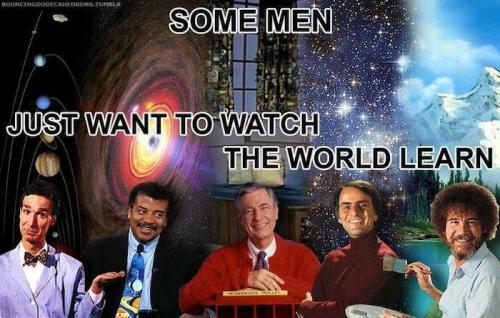 It’s a shame that VHS is all but dead because is there really any other way to watch Carl Sagan?